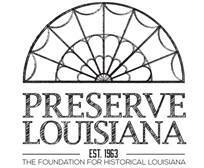 Preserve Louisiana, the Baton Rouge Blues Foundation, Forum 35 and Dialogue on Race Louisiana invite you to Blues Lagniappe! Following the lecture, join us in the Rose Garden for signature cocktails, appetizers and the Blues Piano tunes of legendary Henry Gray. Special thanks to Lamar Corporation for their support of this project. Note: This event sold out last year. Advanced registration is REQUIRED and limited to 100 people.